You are cordially invited to… tick off the bride. Teegan Michaels has attended six weddings for her sorority sisters dateless and she refuses to go to the last one alone. Not when she has a perfectly respectable—not to mention hot—NFL player ready to save her from humiliation. Who cares that he’s the bride’s ex-fiancé and only wants to go for revenge? She peeked a glance up at him, catching mostly only a broad shoulder because of his height. His long arms swung at his sides and his posture stern as he stared at the romantic beach scene in front of them. They were about thirty feet from the other guests when Wes slipped his hand into hers. She stiffened on contact and her brain shut down. She nodded, not trusting herself to say anything while her heart did backhand springs in her rib cage. Holy crap. She was totally holding Wes Stevenson’s hand. And she totally sounded like a teenybopper thinking that. Be cool, Tee. Be cool. It was going to be tough though since her version of cool had never been anything close to his. Or anyone else’s for that matter. Standing up straighter, she closed her hand around his, taking in the feel of skin against skin. The closer they got to the already filled area, the more erratic her heartbeat became. She was going to face Juliet, her family, and friends. And they were all going to chastise Teegan for bringing Wes. Damn. She wished she’d thought about that before this moment. She could’ve feigned sickness for the entire weekend. What was going around right now? Yellow fever? Malaria? She’d even take a good case of salmonella. Anything to get her out of seeing the judgment in everyone’s eyes. The same judgment she saw at every other Delta Gam wedding she’d attended. With a date, without a date…it didn’t matter. It followed Teegan anyway. The man in question didn’t seem bothered by their impending fate. He stood tall and wore a confident smile. Zero nerves radiated off him. The Ice Box, they’d called him on the football field. Because he was always cool under pressure. Man, what she wouldn’t give to have some of that superpower right now. He squeezed her hand, which made her look up at him. He lifted his chin, gesturing in front of them. She looked toward a receiving line that included the bride and groom. Juliet and the man she’d left Wes for. Excellent. Teegan couldn’t wait to greet them both on this glorious, fantastic evening. Why, oh why, had she agreed to this? It would’ve been better not to attend at all, rather than bring Juliet’s ex to Juliet’s wedding. Oh, God. Her heart was beating at an unhealthy rate. She might faint. The hand attached to hers tightened. Wes. She was doing this for Wes. Just think about that. This had to be a million times worse for him. 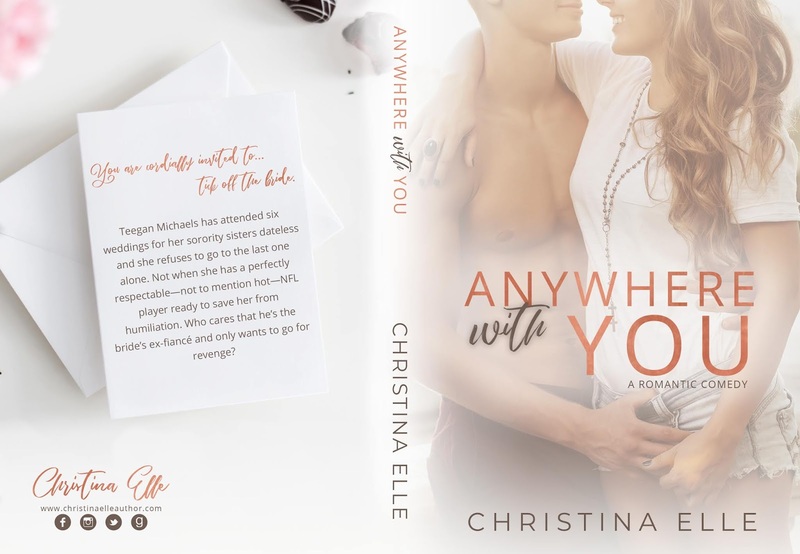 Christina believes that laughter really is the best medicine, which is why in her stories she blends a healthy dose of hilarious hijinks with gritty suspense. When she’s not writing fun contemporary romance or quirky romantic suspense, Christina can be found devouring books in every genre, watching Chris Hemsworth on TV, playing board games with her family, working out, checking out Chris Hemsworth on Facebook, napping, stalking Chris Hemsworth on Instagram, and shopping…for Chris Hemsworth’s latest DVD. 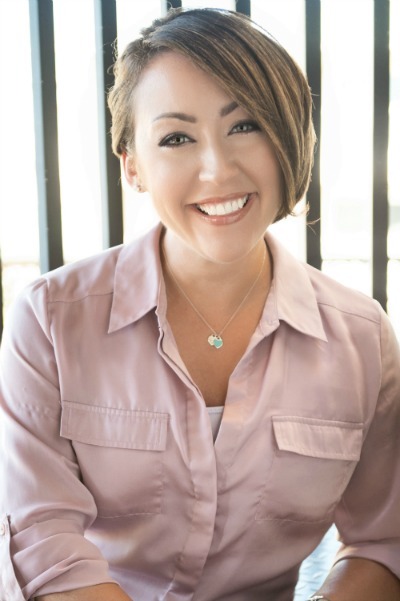 Christina lives near Baltimore with her husband and two sons, who give her an endless supply of humorous material to write about. She is a member of Romance Writers of America and Maryland Romance Writers.